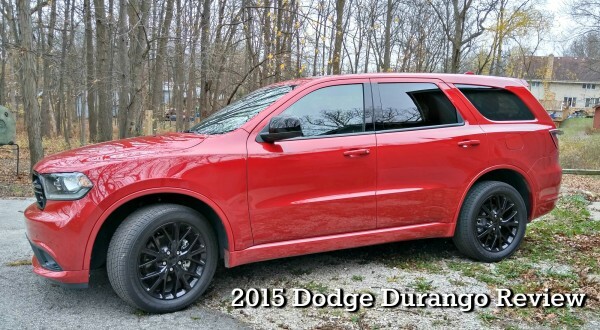 I am so honored to have had the opportunity to put together this 2015 Dodge Durango review. I was able to use this vehicle for almost two weeks and got to know a lot about its features. All thoughts and opinions shared here are based solely on my experience. 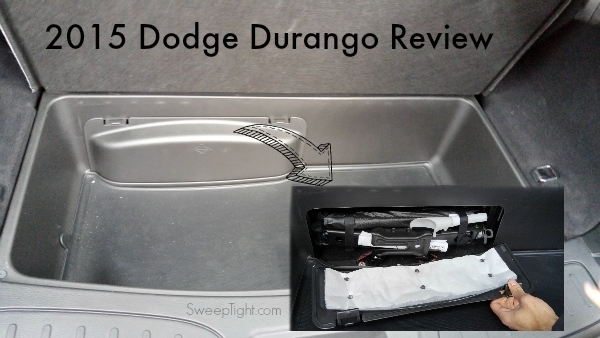 The best part about the 2015 Dodge Durango is that is has most of the perks of a minivan without looking anything like a minivan. Third row seating, plenty of cargo space, folding seats, and endless comfort make this the toughest looking family SUV out there. The whole time I drove it I felt like a total badass. You’ve got plenty of room and it’s super safe. We drove in an icy blizzard and had no trouble at all. In the event of an accident though, I love that there is a flash light built into the back. Plus all the supplies for changing out a tire are neatly tucked away so they’re not constantly sliding around under a seat, but are easily accessible. I was super impressed with the amount of room in the third row seating. 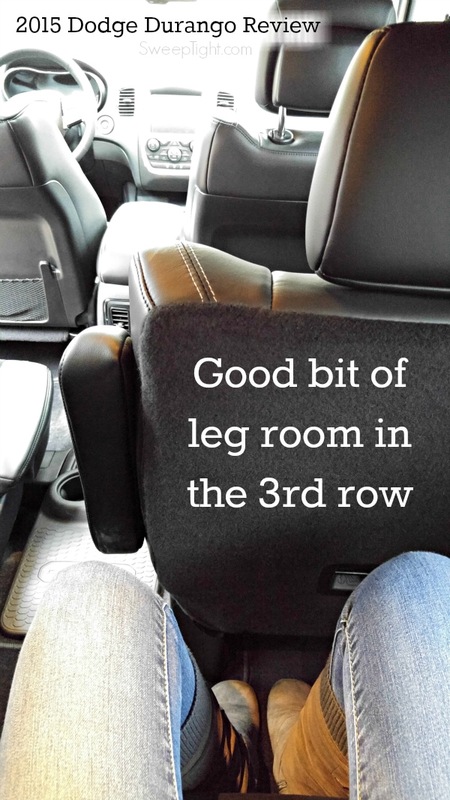 Granted, I’m not very tall (5’5.5″) but I had plenty of leg room considering it is a third row seat. The reverse camera was one of the best I’ve seen lately because you can actually see the ground directly underneath the camera. If a small child or event small rodent is in harm’s way you’re going to see it no matter how close to the back of the vehicle it may be. To see all the photos I took of this vehicle (there are a ton), check out my Google + Album here. 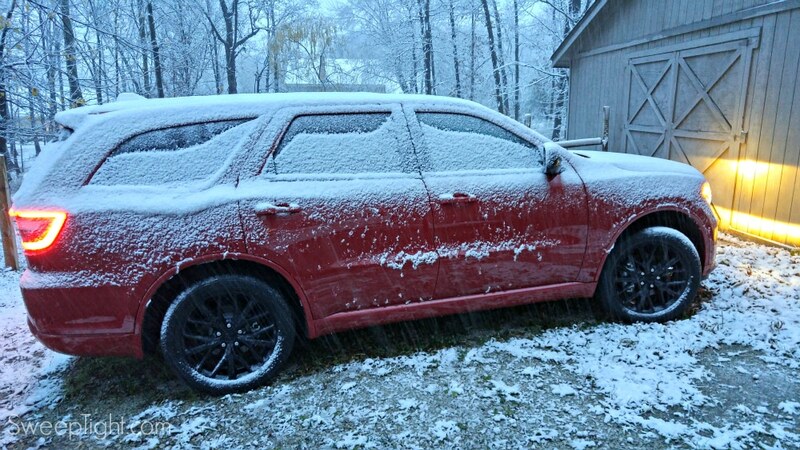 What’s your favorite part of this 2015 Dodge Durango Review? I need a new car, but this great SUV would be too much car for me. I like the camera in the back. 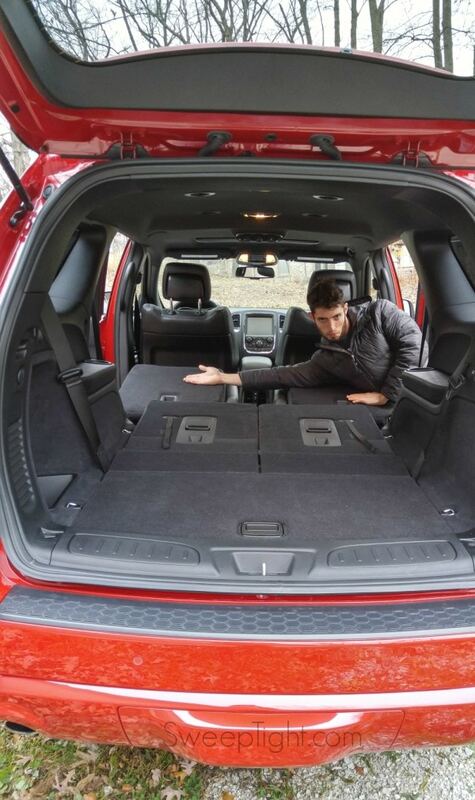 I never would have considered the Durango, but look at all that room! I have been wanting a third row. I want 7 seater, but 6 works! I am going to test drive one after the winter!